The strains of Radiohead’s “You and What Army” shimmer under the action in the opening moments of “Incendies,” as we watch a group of boys in a bombed out building line up to have their heads shaved, surrounded by men with machine guns slung over their shoulders. As the camera pans around the room, it settles on the face of a young boy who stares coldly back into the lens with a chilling 1000-yard stare. And with that, director Denis Villeneuve sets the tone for a powerful whodunit spanning four decades, from the Middle East to Quebec. Jeanne (Mélissa Désormeaux-Poulin) and Simon (Maxim Gaudette) are twin twentysoemthings living in Montreal who are left parentless by the sudden death of their mother, Nawal (Lubna Azabal). At the reading of her will, one is instructed to find their long lost brother, whom they hadn’t known even existed. The other is instructed to find their father, whom they'd believed long dead. Jeanne cries quietly at the news, steeling herself for the journey, while Simon is filled with rage at what he considers his mother’s final act of madness, determined not to have anything to do with the chase. The film cuts back and forth between Jeanne’s present and Nawal’s past as the daughter traces the mother’s footsteps across time and space, discovering that her mother was an exile who brought shame on her family, as well as an activist and hero, in a fictional land set amid the unrest of the Middle East of the 1970s. Villeneuve, who adapted the film from the play by Wajdi Mouawad, constructs the story in such a way that it’s difficult to discern where Nawal’s politics and allegiances lay. She’s a Christian who works for an anti-Nationalist newspaper—but when she finds herself at gunpoint, her survival instincts take over. Similarly, Villeneuve doesn’t take sides, making clear that the only innocents in the conflicts tearing that region apart were (are?) the kids. And he make clear the hypocrisy, self-destruction and idiocy that fuel any nativist movement, while offering insights into how we in the West mistakenly apply our values and sense of community to the people of the Middle East. 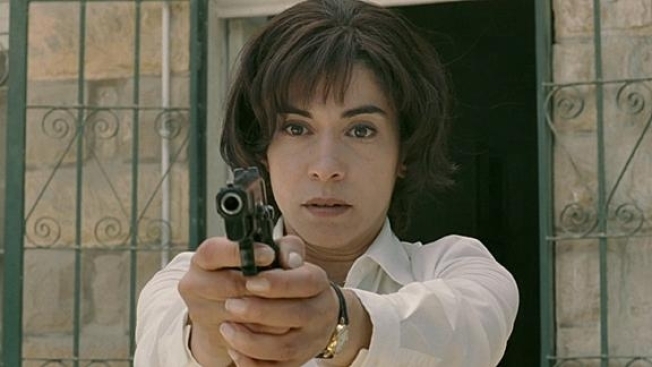 As good as Désormeaux-Poulin is, this is Azabal’s film, and she is remarkable in the role of Nawal, informing the character with an understated dignity, resolve and courage that feel perfectly real. She never goes in for histrionics or wailing, not even when witnessing murder or enduring horrifying suffering herself. Ironically, as epically Greek as the ending is, the moment at first feels a little anti-climactic, before feeling a bit clumsy. But it’s not so poorly done that it takes away from the power of the previous two hours of "Incendies."